For almost 40 years VIRS Respite Care has provided in-home personal care to the elderly and disabled of Sweetwater County. Assists with client's activities of daily living. Relief time for primary caregivers. Allows the client to maintain an independent lifestyle in their own homes and helps avoid costly nursing homes or institutions. 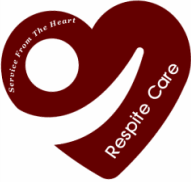 Respite Care collaborates with many other service agencies to insure clients receive all available care to fulfill their individual needs.